In Memoriam of Jantuah: the Last of Nkrumah’s first Cabinet. First All-African pre-independence cabinet 1954-56. K. S-P Jantuah standing second from right. Kwame Sanaa-Poku Jantuah- in a previous name incarnation, John Ernest Jantuah, was an intriguing political player and diplomat. The youngest in Kwame Nkrumah’s First All-African cabinet in 1954, he was until his death in February 2011 at 89 years, the only survivor. His political life was both settled and unsettled. Settled in the sense that he lived Nkrumahism to its full meaning. The unsettled part was that he also saw its disintegration in its internal ideological cleavages; with a future direction still unknown. With the settled Nkrumahism, he together with his brother-F.A. Jantuah, had to swim against the political current of Asantes’ federalist agitation in the mid 1950s with Nkrumah and the Convention Peoples’ Party (CPP) as perceived obstacles. Cocoa and its world demand and price had become some determinants of this agitation. The two helped to give the CPP some footing in a hostile environment. The two (difficult to tell who was the alter ego to the other) were more than a multitude. The same in their ideological disposition; the same in their combative counter to anti-Nkrumahism, controversial in some of their thoughts, it was not surprising that when the elder passed on, it was mistaken as the drawing of the curtain on the younger. Born in December 1922 in Kumasi to John Kwadwo Jantuah and Madam Mary Yaa Difie of the royal Oyoko Clan of Mampongten, Jantuah started primary school at St. Peter’s Catholic School and continued at St. Teresa’s Minor Seminary at Ammisano in the Central Region. The intention was to be a catholic priest but he had this argumentative spirit and would change his mind and go to St. Augustine’s College. For strangely, it was whilst at the Seminary that he fell in love with Marxist Philosophy of Socialism. He had read seriously and had come to the conclusion that “Rerum Novarum” the Catholic Church’s remedial reaction to Socialism was in fact not convincing in solving the socio-economic problems of the masses. He had also read and studied Islam including the Life of the Prophet Mohammed and was only short of becoming a Muslim. And he was only 14. On an Asanteman Council scholarship set up by the late king of Asante, Otumfuo, Sir Osei Agyeman Prempeh II, Jantuah studied Politics and Economics from 1946-48 at Plater College, Oxford University. He would later indulge in Law at the Gibson and Weldon School of Law in London and obtain the degrees of LLB and BL. He was called to the Bar at Lincoln’s Inn and later the Ghana Bar. Jantuah met Nkrumah for the first time in London in 1948 when he was completing his studies at Oxford and Nkrumah had come to Britain from the United States intending to do his doctorate at the London School of Economics and Political Science. He invited Jantuah to the house of George Padmore in Mornington Crescent. Nkrumah just took to him not only because he understood the complex international affairs of the time but that he was as a member of the West African Students Union, anti-colonial by orientation; best of all, a member also of the Oxford Labour Club (Socialist). But unknown to Jantuah, the British were even at that time monitoring Nkrumah’s movements and so he would later be interrogated for visiting that house. On return to Ghana, he was persuaded by Nkrumah and so they both joined the United Gold Coast Convention. By 1949, Jantuah had been made its Secretary in Asante only breaking away to join the CPP again on Nkrumah’s advice. Notwithstanding the conflict and tense situation between Asante nationalism and the transition into statehood that was upon the time, Jantuah managed to navigate to an equilibrium of sense and sensibility- the socialist in him should naturally kick against monarchial power in which he had been born into but did not; he served time as editor of the Asante Sentinel, President of the Asante Youth Association (closely linked to Asante’s royalty) before assuming national and international engagements when the CPP was firmly in charge. Jantuah did remain in Paris. For his perspectives to issues had been rewarding especially between 1964-66. He succeeded in moderating Nkrumah’s acrimonious stand against President’s de Gaulle’s handling of the Algerian colonial struggle and again to persuade Nkrumah that instead of a cabinet decision to withdraw Ghana from the membership of the Commonwealth it should rather sever diplomatic relations with the United Kingdom over the “Rhodesian Problem.” But such was also the confidence his boss had developed for him for speaking his mind plainly that in 1965 with a year to his overthrow, Nkrumah requested Jantuah to be a signatory –as Witness to His Last Will and Testament the signing of which took place on the occasion of the Commonwealth Conference in London. He would set up his City Chambers in Accra from 1967-90 and in between engaged in politics. He helped revived the CPP. Between 1971-73 he was President, Socialist Society of Kwame Nkrumah, Founder and chair in 1971 of the Ghana People’s Party, in 1978, Member, Peoples Movement for Freedom and Justice which fought the military dictatorship of Acheampong. In 1979, he was appointed when the CPP came back to power under the Peoples National Party, the Minister of Local Government, Rural Development and Cooperatives and also became Minister of Interior until the coup of Rawlings on December 31 1981. Forced into exile in 1981 partly because he had hinted of a possible coup against Limann which was ignored, he could only return on the assurance of Captain Kojo Tsikata, an Nkrumahist and socialist with whom he had shared a common ideology and who was obviously upset that his friend was having a bad time in exile. 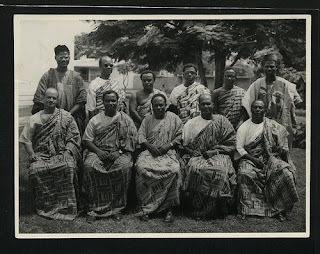 Shortly after his return, Jantuah was appointed member of Ghana’s Delegation to the funeral of Sekou Toure, President of the Republic of Guinea and Nkrumah’s political ally. It was not long afterwards that he was appointed by Jerry John Rawlings, obviously on the advice of Tsikata to be Ghana’s Ambassador and the last one to the German Democratic Republic from 1985-90. He saw the fall of Berlin Wall and his public career and service with it. He was awarded in 1981 the Grand-Officer de’ Ordre du Merite by the President of Senegal, Abdou Diouf; in 1999 by the Pan-Africanist Forum for his “outstanding role as pioneer of the independence struggle of Ghana”; in 2007 a Member of the Order of the Volta by former President John Kufuor. Jantuah spent his remaining years in peaceful retirement. He carried on with his intellectual pursuits and was a major contributor to an anthology of political essays that I edited in 1991, Political Reflections on the Motherland, a 216 page book with contributions from some of the pillars of the political reforms at the time including the late President Hilla Limann, Prof. Emeritus Albert Adu Boahen, the former Bishop of the Methodist Conference, The Rt.Dr. Samuel Asante-Antwi and the late editor of The Pioneer newspaper in Kumasi, T.H. Ewusi-Brookman. As a nephew I also spent some time with him working on his memoirs which hopefully will be published this year.